Located in the Texas region, Austin is a town and its area, population and various key information is listed below. For all your administrative procedures, you can go to the city hall Austin at the address and times indicated on this page or contact the town hall’s reception by phone or by email depending on your preference or the information available. Austin satellite image: Austin town from the sky! Near the Austin Convention Center, the central business district and the Warehouse entertainment district, this hotel offers free Wi-Fi and stunning views of Town Lake or Austin city centre. This Extended Stay America - Austin - Arboretum - Capital of Texas Hwy. is located in Austin and especially designed for longer stays, with all rooms featuring a fully equipped kitchen. The hotel offers free WiFi and a 24-hour front desk. Ace Motel is located in Austin. Free Wi-Fi access is available. A TV, a microwave, and a refrigerator are offered in each guest room. All rooms have a private bathroom with bath tub or shower. 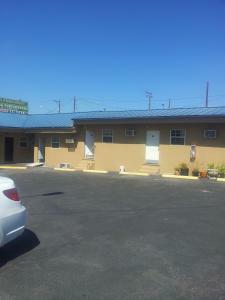 At Ace Motel you will find a 24-hour front desk. Located 6.5 miles from Austin town centre, this hotel features an outdoor swimming pool. Free Wi-Fi is also provided. A flat-screen TV with access to cable and HBO film channels is included in each room at Drury Inn and Suites Austin North. This hotel is 11 miles from downtown Austin and 2 miles from the Arboretum. The hotel offers a gym, business center and rooms with free Wi-Fi. Fairfield Inn & Suites Austin Northwest/Arboretum's rooms include a sitting area and flat-screen TV.